Bipolar Express Shortisted for an Association For International Broadcasting Award! 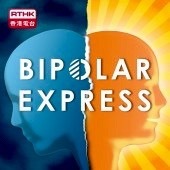 Bipolar HK founder Sadie Kaye's documentary Bipolar Express for RTHK has been shortlisted for an Association for International Broadcasting Award in the Creative Feature category. The awards take place in London this November!